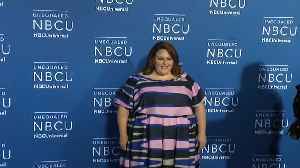 ‘This is Us’ star Chrissy Metz is due to show off her country singing skills at the ACM Awards on Sunday night, when she takes the stage with Carrie Underwood and Maddie and Tae. Kelly Clarkson is a star—to say the least. From being the first-ever American Idol to getting her own talk show, the singer is a veritable pop culture icon. But apparently, not everyone recognizes..
Carrie Underwood gets real with her post-baby body as she graced the red carpet for the first time since giving birth to her second child. 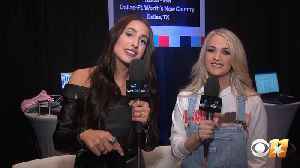 Carrie Underwood praises the incredible women who have supported her throughout her career, some of whom she'll be performing with during the Academy Of Country Music Awards. Watch the 54th Academy of..
Carrie Underwood tells 96.3 Connected K on CBS 11 that she is heading back to the gym. 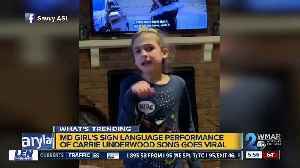 Eight-year-old Savannah has made it big in the deaf culture, and in pop culture, after a video of her singing went viral on Twitter and Facebook. Carrie Underwood Slays the Stage with 'Southbound' Performance at ACM Awards 2019! Chrissy Metz Gives First Live TV Performance at ACM Awards 2019 with Carrie Underwood! 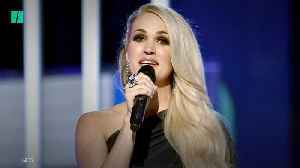 Carrie Underwood took on mommy duties before she took the stage for her Sunday night performance at the 2019 Academy of Country Music Awards. Mamas know how to multitask. Carrie Underwood posted that she was pumping before she shared the stage with "This is Us" star Chrissy Metz. Carrie Underwood made her first red carpet appearance since welcoming her second child at the 2019 Academy of Country Music Awards.